A new Facebook app scam is spreading fast. Facebook users receive a message that looks quite tempting and when they click on the link they are taken to the Facebook application called “ My Total Facebook Profile Views ”. The post contains the number of “views” one has acquired with a short link that “leads” you to also see yours. These links actually point to spam applications which trick you into allowing them to access your profile. And the number of views they give you is totally random generated. Many of your friends have posted at your profile a hundred or even thousand times. I checked this application with newly created account, and what happend ? I really surprised, I’m very famous, my profile viewed about 1690 within a few minutes OMG!!!! also without even a single friend on my friends list. 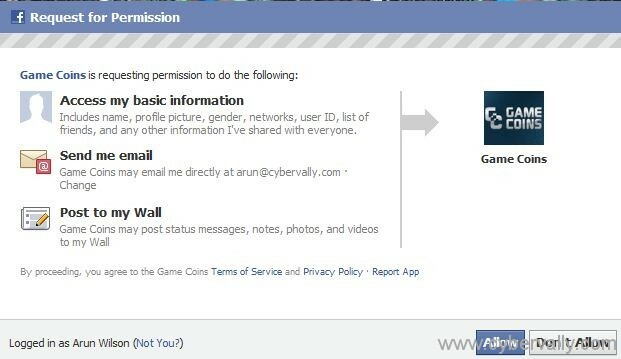 Once you allow this app to access your profile, it automatically starts posting spam messages that go through the walls and streams of your friends. Your friend, who of course don’t know it’s a spam, would follow the link. If you have already opened it, remove the app from your application settings. Once again I reminds you cannot repeat this type of activities, the advice: “ Don’t click random links offering suspiciously favourable things online“. Share this post to your friends also. Be careful in social network. Now a days lots of viruses like this are spreading in facebook. These are nothing but all Craps. 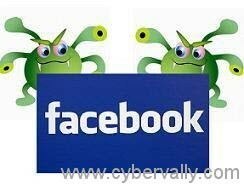 Some time back another virus called get your facebook email was spreading, I have written a well explained article here http://bit.ly/hfTHB2 to get rid off these kind of craps.